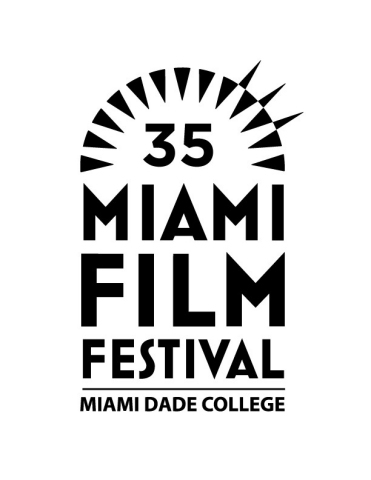 MIAMI--(BUSINESS WIRE)--Miami Dade College’s (MDC) acclaimed Miami Film Festival and IMDbPro (www.imdbpro.com), the essential resource for entertainment industry professionals, today unveiled 25 finalists in the Festival’s IMDbPro Short Film Competition. The 25 finalists were selected by a programming committee of filmmakers, cinephiles and film industry professionals in Miami and internationally, under the direction of the Festival’s Director of Programming, and will all screen at the Festival and compete for the Grand Jury selection of the best short film of the year, to be presented at the Festival’s Awards Night Gala on March 17. The Short Film Competition Grand Jury will include IMDb Founder and CEO Col Needham and others to be announced, and the winning filmmaker will receive a $2,500 cash prize. 1. BROKEN HILL (Australia, 2017), directed by Peter Drew. 2. THE CANNONBALL WOMAN (Canada, France, Switzerland, 2017), directed by Albertine Zullo, David Toutevoix. 3. CANOE POEMS (USA, 2017), directed by Adrián Cárdenas. 4. DEYZANGEROO (Canada, 2017), directed by Ehsan Gharib. 5. A DROWNING MAN (Denmark, Greece, UK 2017), directed by Mahdi Fleifel. 6. EMMY (Canada, 2018), directed by Hannah Cheesman. 7. THE FISHERMAN (Cuba, 2017), directed by Ana A. Alpizar. 8. (FOOL TIME) JOB (France, 2017), directed by Gilles Cuvelier. 9. THE FULL STORY (UK, 2017), directed by Daisy Jacobs. 10. HOLY HILL (Dominican Republic, 2017), directed by Rodney Llaverias. 11. THE HUMAN FACE (USA, 2017), directed by Aline Pimentel. 12. LABORATORY CONDITIONS (USA, 2017), directed by Jocelyn Stamat. 13. LOS COMANDOS (USA, 2017), directed by Joshua Bennett, Juliana Schatz. 14. MANIVALD (Canada, Croatia, Estonia 2017), directed by Chintis Lundgren. 15. MI DULCINEA (Cuba, 2017), directed by Max Barbakow. 16. MOTHER (Spain, 2017), directed by Rodrigo Sorogoyen. 17. MY TREASURE (El Salvador, 2017), directed by Michael Flores. 18. MY YIDDISH PAPI (Canada, 2017), directed by Éléonore Goldberg. 20. SKIN FOR SKIN (Canada, 2017), directed by Kevin D. A. Kurytnik, Carol Beecher. 21. THE TESLA WORLD LIGHT (Canada, 2017), directed by Matthew Rankin. 22. THE THINGS THEY LEFT BEHIND (USA, 2017), directed by Sara Werner. 23. THIS MY FAVORITE MURAL (USA, Honduras, Costa Rica, 2017), directed by Michael Arcos. 24. TO GO (Uruguay, 2018), directed by Ilan Rosenfeld. 25. UNFINISHED, 2017 (MIXED MEDIA) (USA, 2018), directed by Rafael Salazar Moreno. The Canadian short films in this section are presented with the support of Telefilm Canada, and all French-language shorts are additionally presented by TV5 Monde. The screening of “Mother” is made possible with the support of Acción Cultural Española, AC/E. Miami Dade College’s acclaimed Miami Film Festival and IMDbPro today unveiled 25 finalists in the Festival’s IMDbPro Short Film Competition.